You might already know from my social media that I was invited to the launching event of Wella Professional new product which is System Professional Luxeoil. 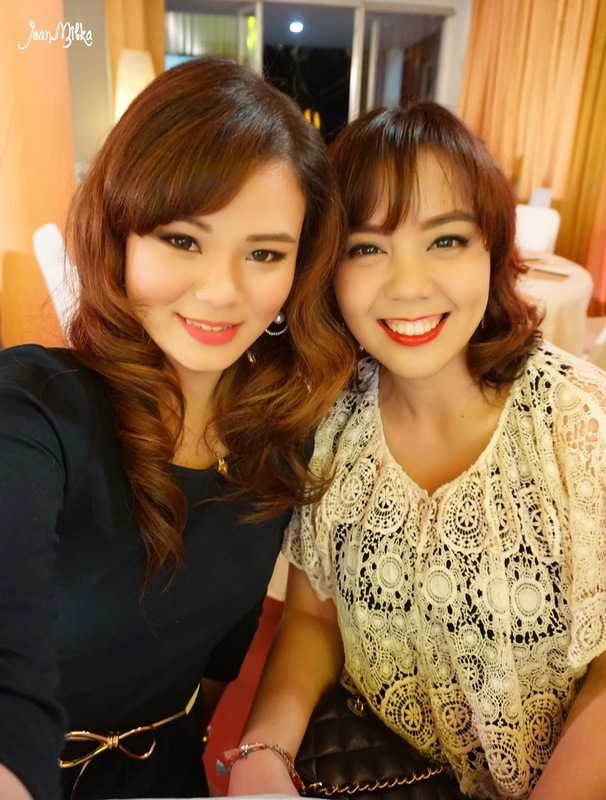 Not only attended the launching night, they also gave me the opportunity to experience The new SP Luxeoil Hair Treatment at one of home salon at Bandung. First of all let me try to explain to you about SP Luxeoil. 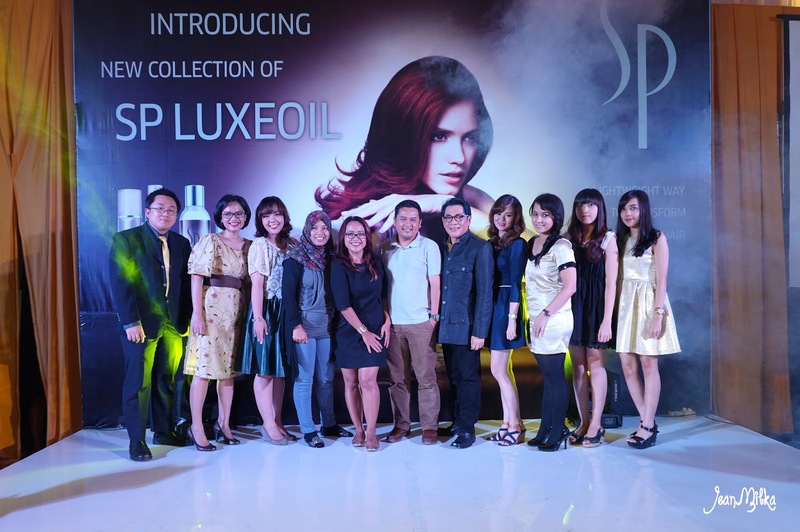 SP Luxeoil is new premium hair treatment that focusing on keratin treatment. Do you know keratin? Keratin is a natural protein which is a major component in human hair. When your hair encounter hair drier or chemical process that usually occur during hair dye, smoothing etc, it damage hair keratin. That is why heat styling and hair dying could damage your hair and cause hair problems. 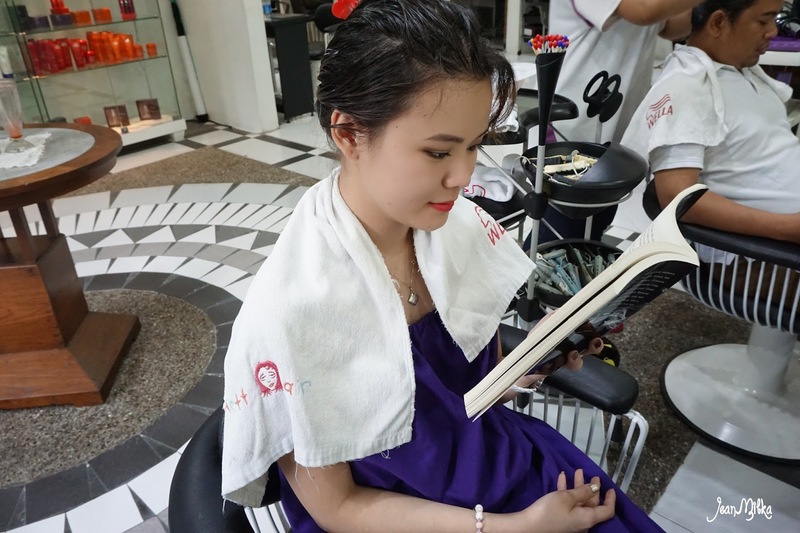 My hair suffered from a lot of chemical process and I often heat styling my hair. That is why I really concern about my dried and branched hair. 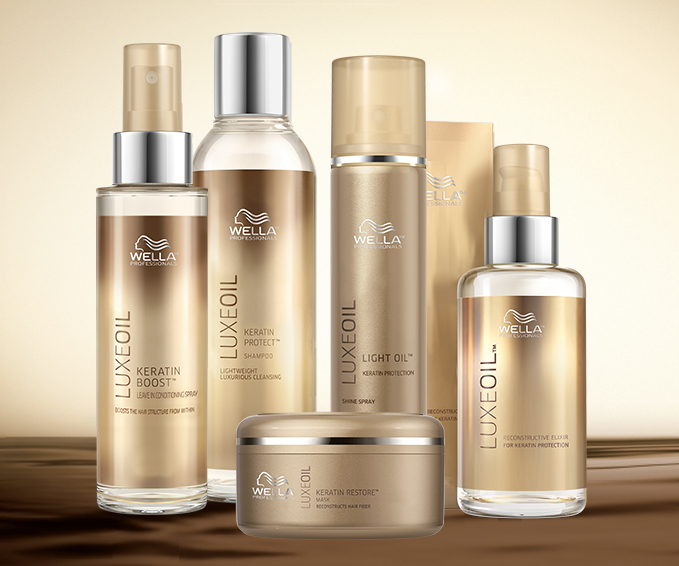 Due to the fact that there are many girls with same hairs problems like me, Wella finally encountered System Professional Luxeoil (SP Luxeoil). SP Luxoil contains Argan Oil, Almond Oil and Jojoba Oil created to improve hair structure. You might know almond and jojoba oil that is commonly used in most of moisturizing product, either hair or body product. The new comers is Argan Oil. Argan oil that is also called as "liquid gold" is an organic product extracted from the kernels of the argan tree, which is native to Morocco. It is extremely rich in beneficial nutrients including fatty acids and vitamin E. Argan oil has incredible conditioning and anti-aging properties that keep hair and skin revitalized. According to Michael Helmy, Senior Technical Manager Pt Akashawira Internaional, TBK, SP LuxeOil not only recommended to archive healthier hair but also its proven to make hair look shinier. SP Luxeoil have 5 product in their range which are Keratin protect shampoo, keratin restore mask, leave in conditioner spray, reconstructive elixir, and light oil shine spray *check out more about each product here*. I am not sure with product come first in the treatment routine. But There are two product that really caught my attention. The first one is the hair mask. Not like other mask, this mask was massage into the hair during the treatment. You can see from the picture above, the stylish patiently massage my hair layer by layer. I noticed that the product absorbed well to the hair with this technique. Another favorite of mine from this hair treatment product is the Reconstructive Elixir. This product can be used on wet or half-dry hair. SP Luxeoil Reconstructive Elixir help to protect hair from heat, softens hair without weighing it down, give natural shine to your hair and also you will notice a luxury perfume scents. 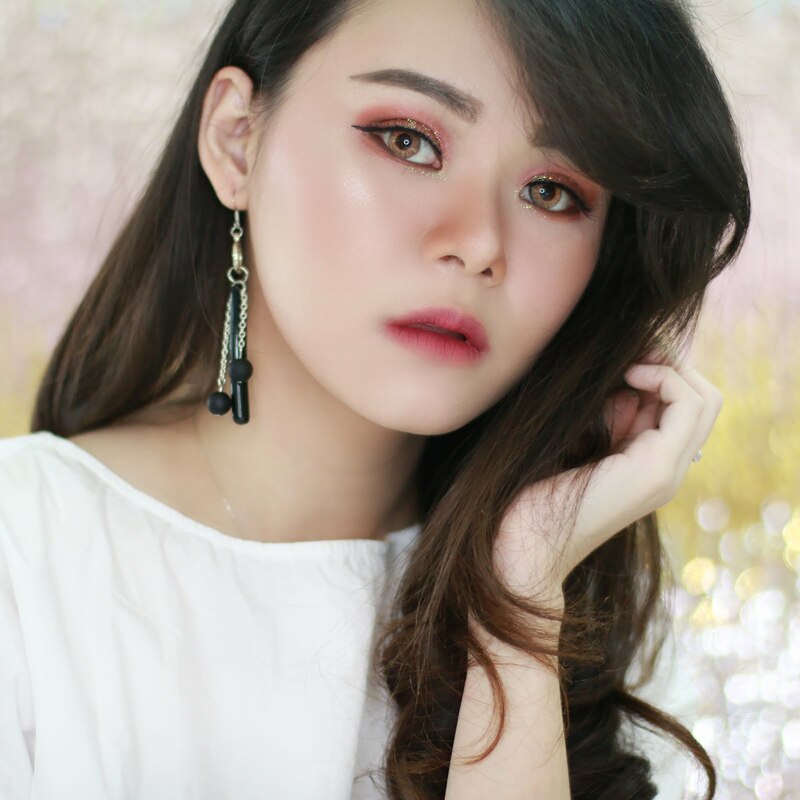 I am very bad in explaining any kind of scents, but in my opinion, SP Luxeoil hair product have a luxury scents just like an expensive perfume. Given its classy, captivating, self explanatory scent: I dare say that this perfume certainly lives up to its given name. The whole SP Luxeoil hair treatment take about 30 - 45 minutes. I experienced my first *definitely not last* SP Luxoil hair treatement at Hetty Hair Salon, Bandung *salon detail attached down bellow* I really hope I have this kind of home salon near my home at Jakarta. The salon is so comfy and homey. SP Luxeoil treatment cost you 350.000 IDR at Hetty hair salon. I think the price is acceptable for the result it gave. It's good to have your hair treated at least once a month. However, if you end up damaging and drying your hair like me, I recommend you to pamper your hair with SP Luxeoil hair treatment every 2 weeks. After the treatment, I notice that my hair look shinier and healthier than usual. It's also feel soft and easy to style. 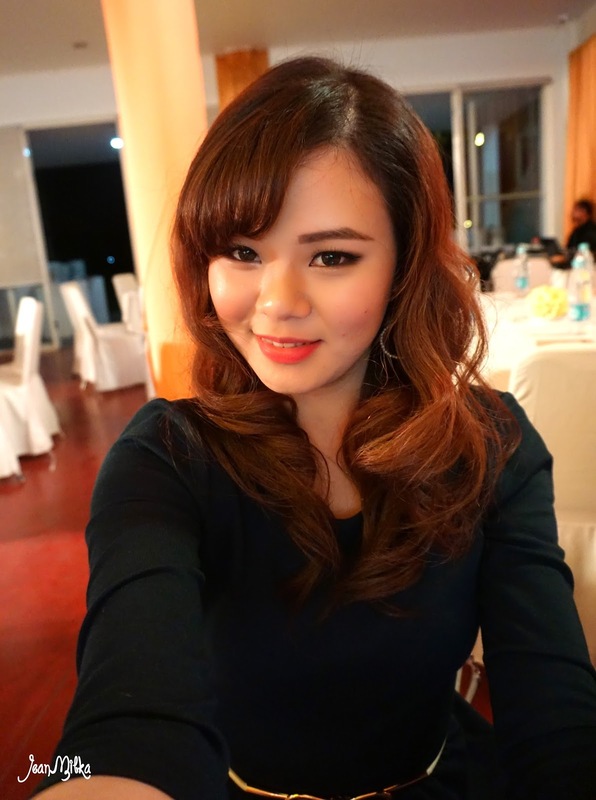 SP Luxeoil also give me a voluminous hair, not like other mask that can sometimes weighting it down. I also really like the luxury scents. Disclimer : This treatment was served to me for further assessment and review. This Article is but a reflection of my honest personal thoughts based on my experienced.